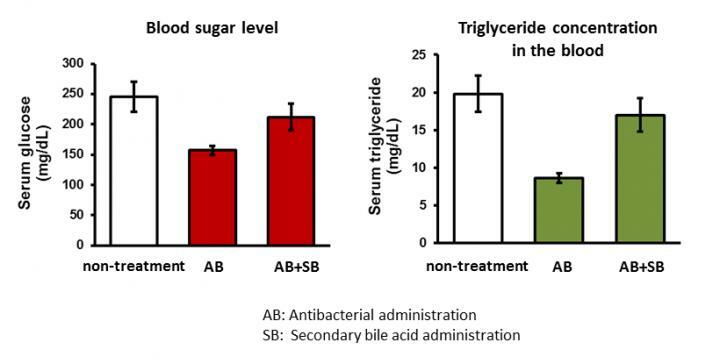 "Our research shows that enterobacteria and the secondary bile acids that they produce may be involved in the change of concentration of sugars and lipids in living bodies," said Kumamoto University Professor Sumio Ohtsuki, leader of the study. "It is expected that these bacteria will be a future target for the prevention or treatment of metabolic diseases such as diabetes or dyslipidemia." This research result was posted online in the journal Scientific Reports on 19 January 2018.